As in all other fields of astronomy, progress in instrumentation and observational techniques has in recent years brought a wealth of new information about the sun. 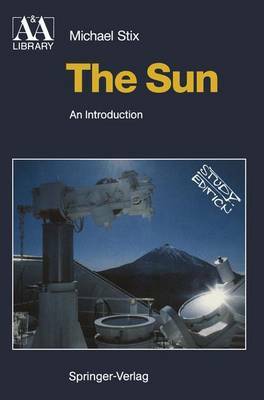 This introduction presents a complete overview of solar physics, of what we know and would like to know. The increasing number of observations of solar pheno- mena on neighbouring stars makes this book valuable not only for students specializing in solar physics but also for researchers interested in stellar structure and the solar-stellar connection.